If you know the song by Frank Zappa, remembering it will likely bring a smile. If you've never heard it, do yourself a favor and explore. The album title is "We're Only In It for the Money" by The Mothers of Invention. Today in the U.S., even though most of us live in an urban environment, it is a wise choice to consider raising your own vegetables. Vacant lots can be cultivated, land along railroad tracks can be cultivated, tiny urban backyards can be cultivated, even boxes of dirt set on back porches and inside apartments next to sunny windows can be cultivated. Horticultural knowledge is, of course, lacking with most of us. 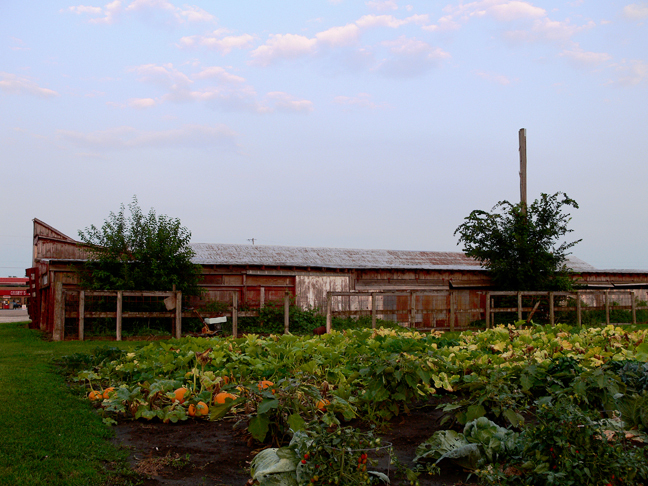 It's been two or three generations since vegetable gardening has been commonplace. Even so, it's not beyond our abilities to learn how to do it. It will only take trial and error and perhaps a little networking. There were certainly plenty of books and magazine articles on the subject back when hippies were returning to the land and establishing self-sufficient communes, about the same time Frank Zappa wrote his song. With the harsh reality of rapidly rising fuel prices, changing weather patterns, and an ever expanding population that is rapidly outstripping world food production the world we've taken for granted is going to alter a bit. The variety and abundance of fresh wholesome out of season produce flown and trucked in daily from around the world almost to our very doorsteps is an historical high point that is likely not going to continue. The economics won't support it. Transportation networks will thin and grocers will offer less variety at much higher prices. As a countermeasure you could join a local farm co-op, but you could also try growing your own.